Every traveller must try to take a solo journey once in their lifetime! Solo travelling brings out someone new, someone that is fresh and quite unknown to yourself. 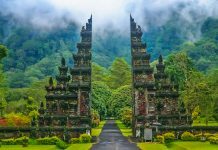 Below are five destinations from Southeast Asia that are absolutely perfect gateways for a solo journey. But before you decide to travel solo, there are lots of things to keep in mind; whether it is safety, location, budget, or other concerns. Kuta is a village on the island of Lombok in Indonesia. This beach destination is a top pick of solo travellers in Southeast Asia. Most of the village is inhabited by fishermen who live in small houses away from the tourist activities. This makes the serene beaches more hassle-free and a place of unspoiled relaxation. The shores are lined with volcanic stones and green slopes. One can simply lie down along the shore, or take a short boat ride or even hire a scooty to explore the coast. Siargao is a teardrop-shaped island in the Phillippines Sea. 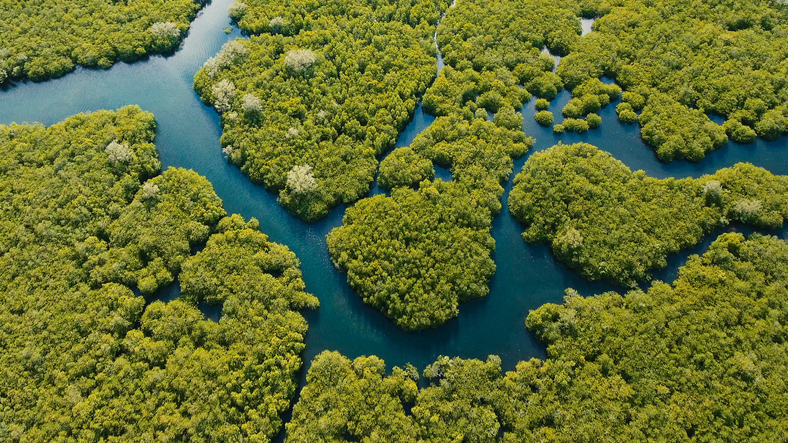 Covering a small area of just 450 kilometres square, it is one of the largest reserves of mangroves. Surrounded by coral reefs and tall coconut trees, it is also the perfect destination for solo travellers in Southeast Asia to go island hopping. You can take a trail through the Naked, Daku, and Guyan islands. 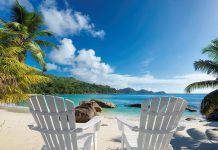 White sands, turquoise water, and small fishing villages are the main lures of these isles, but there are also other activities like surfing, swimming, and motorbike ride to enjoy. Attractive beaches like Pacifico, Alegria, and Santa Monica Pier are also a must see. Pai is a small town near the River Pai set near the Mae Hong Son Province, near the Myanmar border. 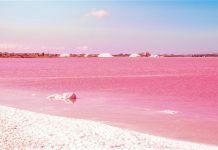 It is known for its colourful streets, hot springs, caves, waterfalls, and canyons. 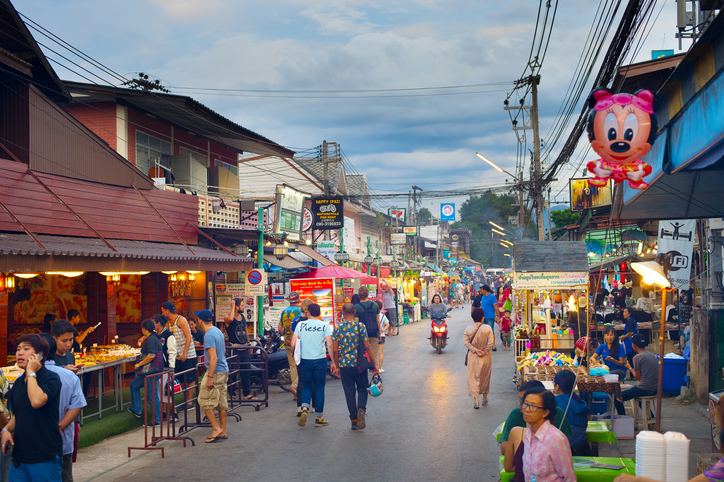 Pai’s streets have also become an attraction after being shown on screen in Thai films. The roadside markets have a variety of food options, as well as clothing and knick-knacks. There is also a fairly large Buddha statue on a nearby hill where you can get extraordinary views of the surrounding area. Another lure is Pai’s gymnastics school where travellers can try unique experiences like juggling and fire dancing. Both members and non-members can indulge in these activities. 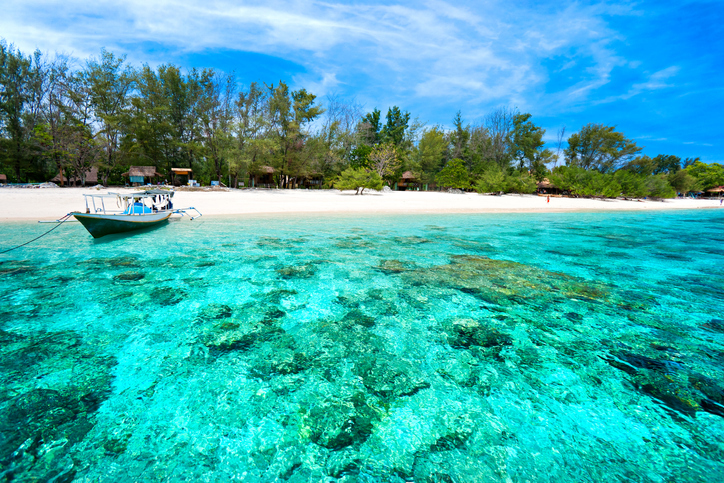 To the northwest of Lombok are the Gili Islands. This archipelago of three small islands — Gili Trawangan, Gili Meno and Gili Air — is known for its many resorts, hotels, and serene beaches. 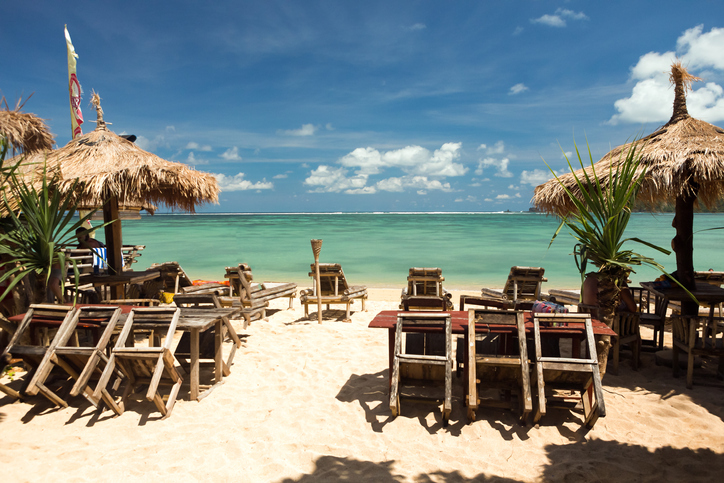 Most locals live on Gili Trawangan which also has exciting parties and nightlife. There are also lots of adventures, like scuba diving, snorkelling and island hopping, though you can also just enjoy the lovely beaches and colourful sunsets. 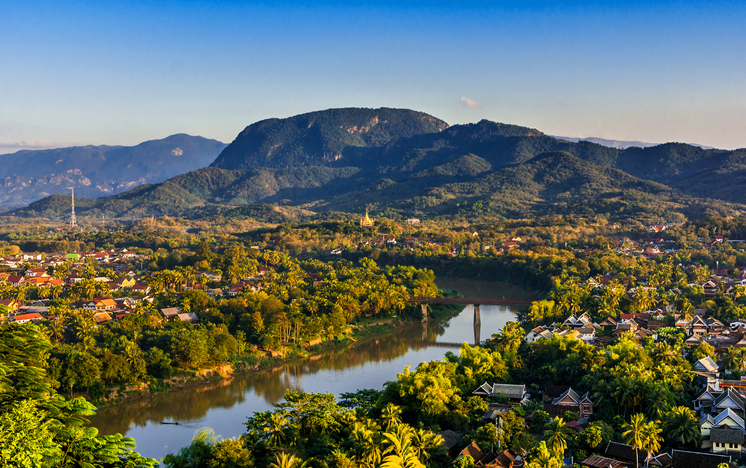 Luang Prabang, which literally means ‘Royal Buddha Image,’ is a city in Northern Laos. Previously the capital of the Kingdom of Laos, it is a UNESCO World Heritage Site, known for its ancient architecture. There are many magnificently carved Buddhist temples and monasteries. They create an atmosphere of peace and serenity, and the monks and hermits can often be seen giving out alms to the needy. Do try to view the extraordinary sunsets from Mount Phou Si, the former Royal Palace, and the Kuang si water-falls, as well as the delicious local cuisine. Southeast Asia has a wide variety of destinations that are perfect for those travelling solo. And, if you plan on taking a solo trip, check out our tips on meeting people when travelling solo.